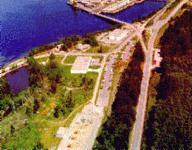 In June 2004, SUBASE Bangor merged with Naval Station Bremerton. 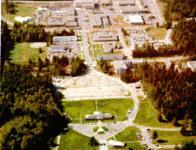 The new command was named Naval Base Kitsap. The U.S. Naval Submarine Base (SUBASE), Bangor is located on the east shore of Hood Canal. 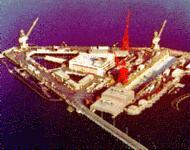 The pier facilities of the base are located along two nmi of waterfront. The primary berthing facilities at SUBASE Bangor consist of four separate pier complexes: "KB" Docks, Delta Pier, Marginal Pier, and Explosive's Handling Wharf. 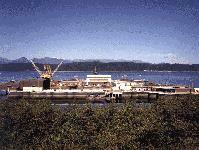 Trident submarines berth at Marginal Pier South and at Delta Pier North and South. 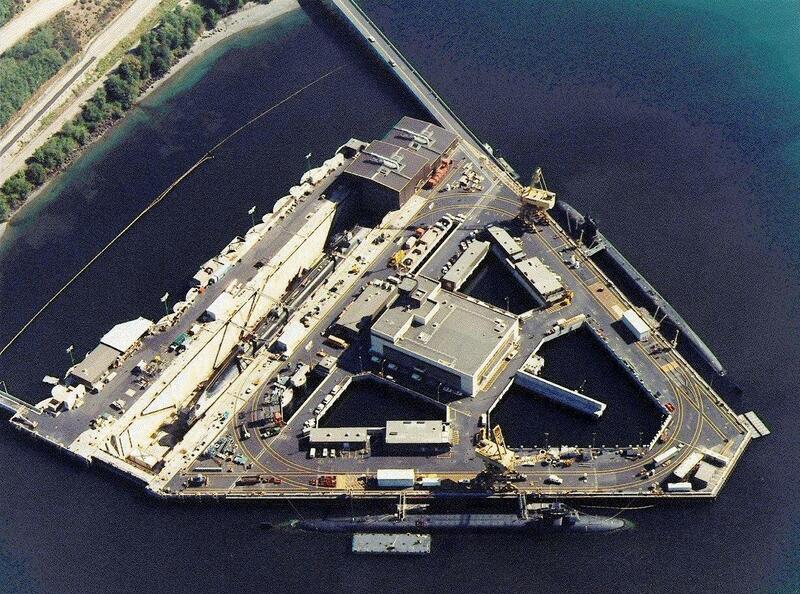 They also use the Explosives Handling Wharf and the drydock on Delta Pier. 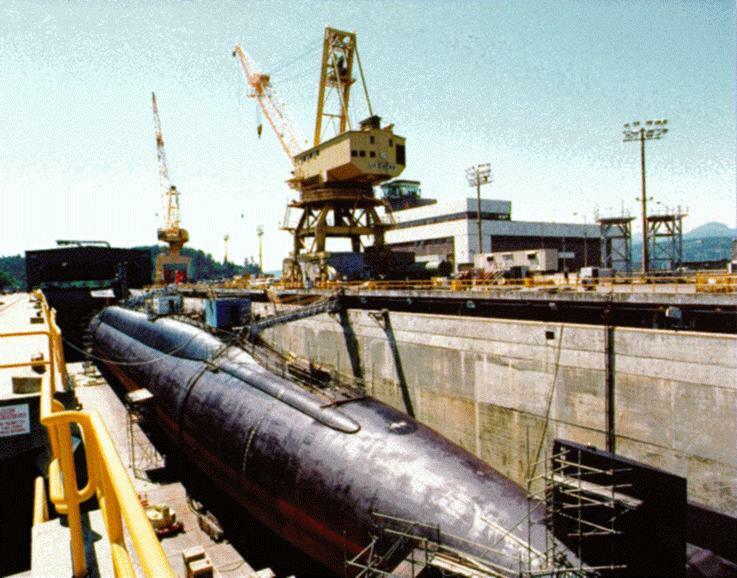 According to harbor authorities, submarines are rarely nested, and when they do, are nested only for a day or two. Pier decks have a nominal height of 20 ft above mean lower low water. 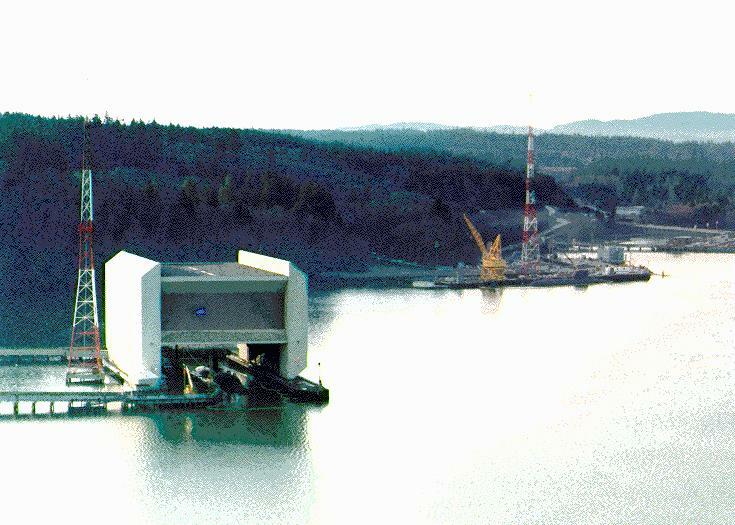 Alongside water depths vary from 45 ft at Marginal Wharves North and South, to 60 to 115 ft at the Delta Piers. 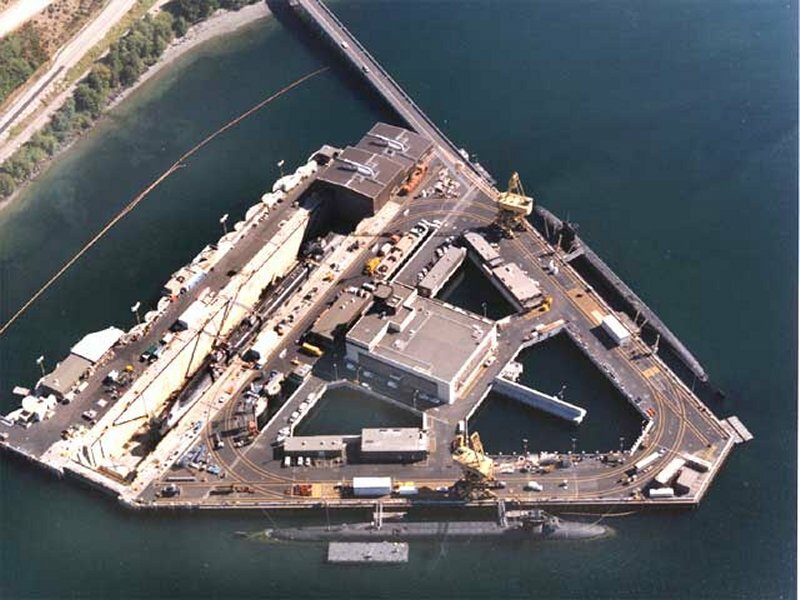 The primary berthing facilities at SUBASE Bangor consist of four separate pier complexes: "KB" Docks, Delta Pier, Marginal Pier, and Explosive's Handling Wharf. 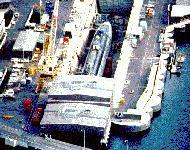 Trident submarines berth at Marginal Pier South and at Delta Pier North and South. They also use the Explosives Handling Wharf and the drydock on Delta Pier. According to harbor authorities, submarines are rarely nested, and when they do, are nested only for a day or two. 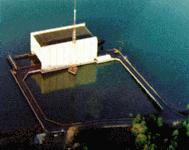 Pier decks have a nominal height of 20 ft above mean lower low water. 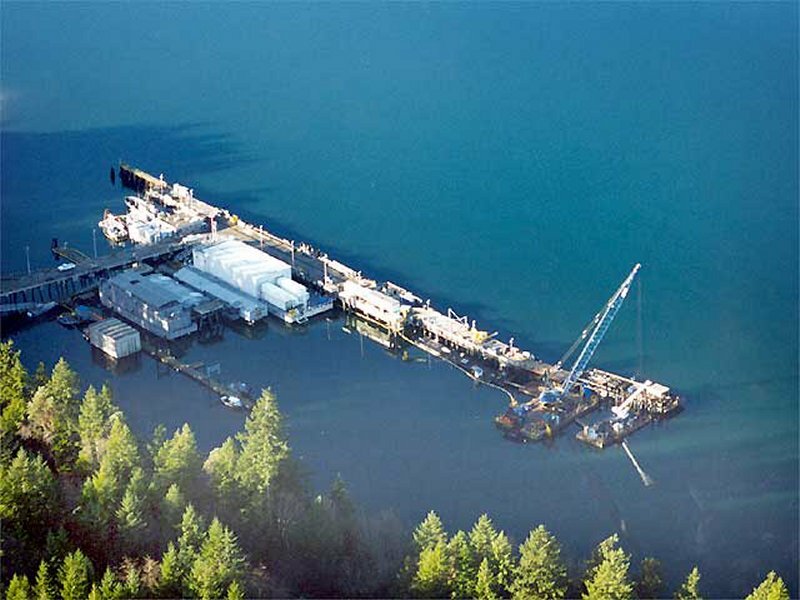 Alongside water depths vary from 45 ft at Marginal Wharves North and South, to 60 to 115 ft at the Delta Piers. 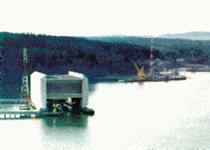 Southwesterly winds directly impact Bangor's dock facilities due to the orientation of Hood Canal. Winds are amplified as they are funneled northeastward through the canal by the orientation of the canal with respect to the adjacent topography. Operations at the Explosives Handling Wharf, Delta Drydock, and the Magnetic Silencing Facility will cease if wind velocities reach 25 kt. 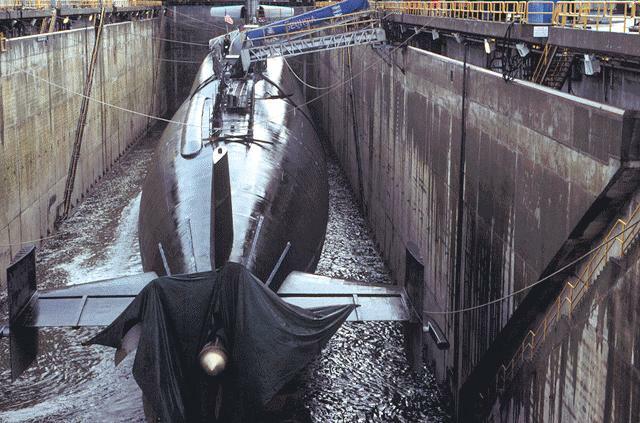 Wind alone is not a problem for moored submarines, but it does cause waves to wash over their hulls. 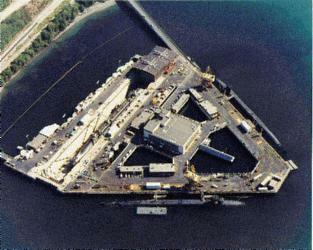 The KB Docks are used by small craft from the Naval Undersea Weapons Engineering Station (NUWES) at Keyport. Bangor harbor pilots state that lines are doubled and dead-man lines and buoys are used to prevent excessive motion of moored vessels during periods of strong southwesterly winds. Most vessels are moored on the inboard side of the piers, but YTT's (torpedo recovery boats - 135-140 ft long/1,600 tons) moor to the outside of the piers and are exposed to whatever conditions exist in Hood Canal. 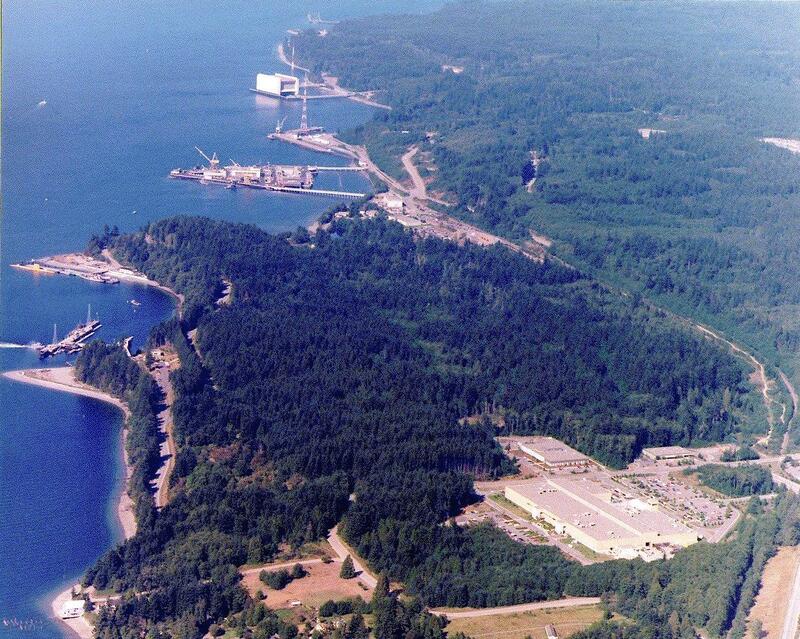 The only identified hazard at SUBASE Bangor is a strong southwesterly wind funneling through Hood Canal. 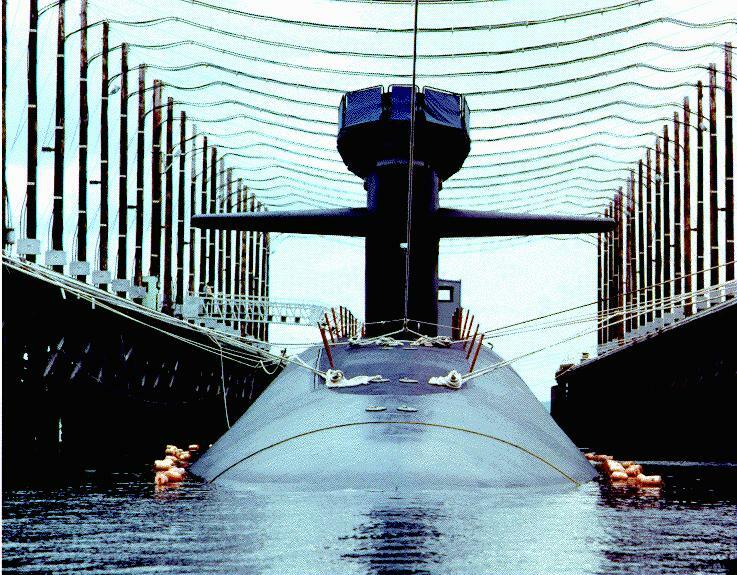 Because of their low hull profile, wind does not pose a direct hazard to submarines. It can, however, impact the ability of tugs to work alongside submarines. 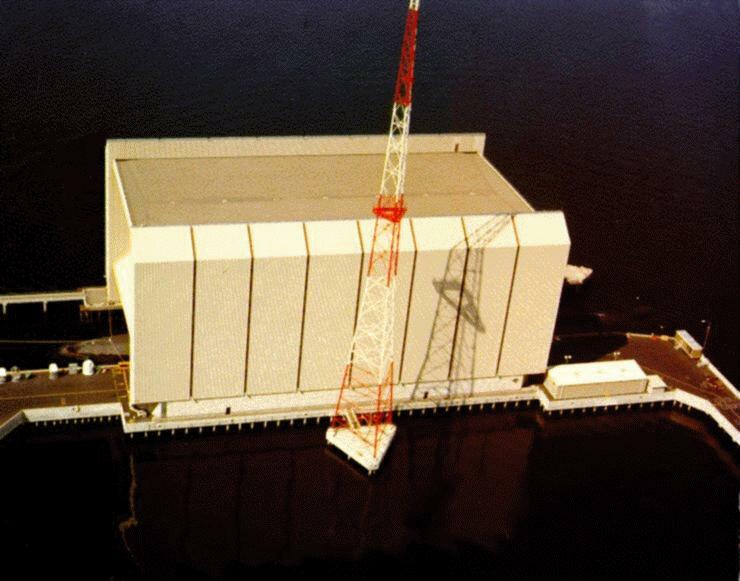 It would also affect the operations of small craft and YTT's from NUWES Keyport utilizing the KB Dock complex. 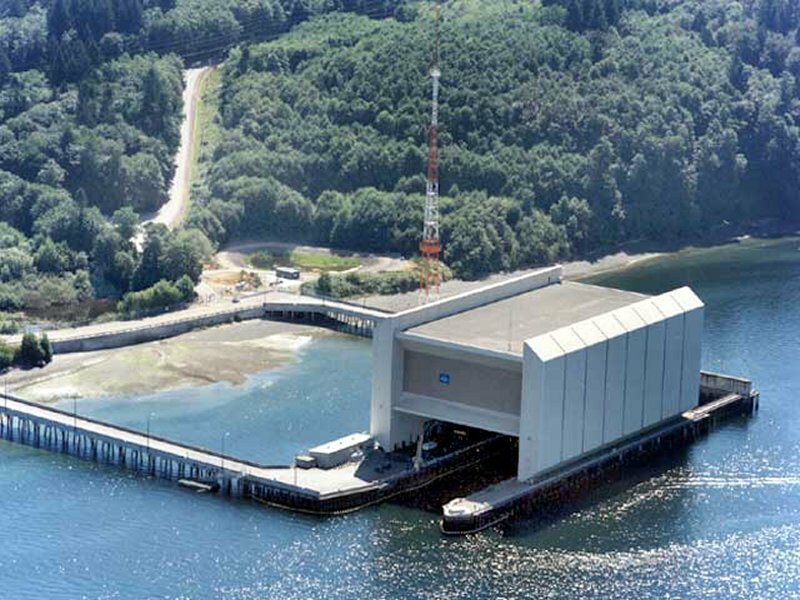 Anytime winds approach 50 kt, the Hood Canal Bridge is closed to auto traffic and kept in an open position to reduce wind stress on the bridge structure. 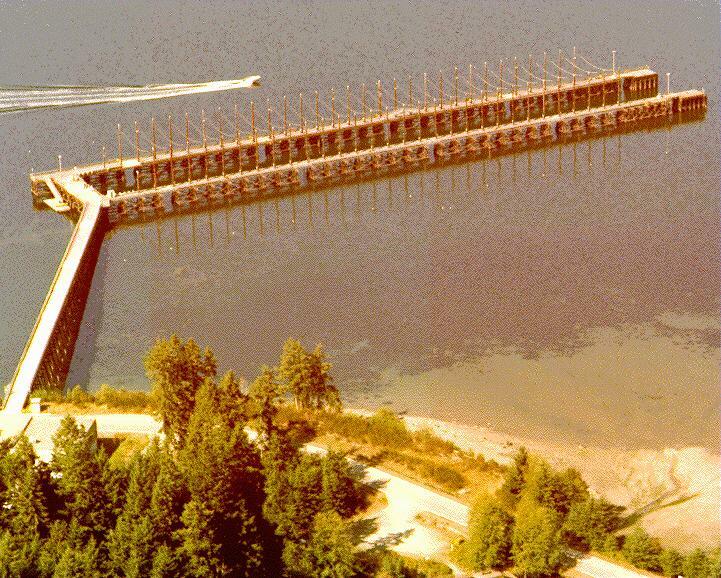 The floating bridge was partially destroyed by winds/waves on February 13, 1979 during an extremely strong wind storm. The southwest berth of Delta Pier and the KB docks experience four to six ft swell during periods of strong (up to 60 kt) winds. 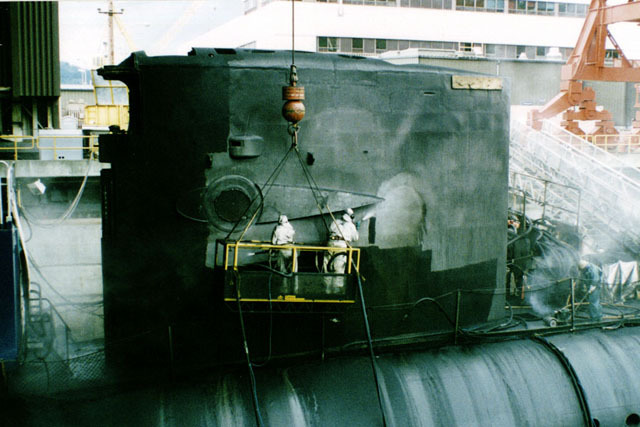 As long as access hatches on submarine hulls are closed, the waves do not pose a direct problem to submarines. However, if tugs are alongside a submarine, wave motion may cause the tugs to pitch up and down with potential damage to the submarine hull. To preclude such damage, normal tug operations are suspended in strong wind situations. 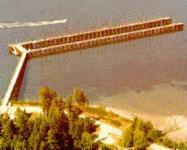 Currents in Hood Canal, a semi-enclosed basin, are largely tide driven. Northeast setting ebb currents in the range of 1.0 to 1.2 kt are common adjacent to the SUBASE. 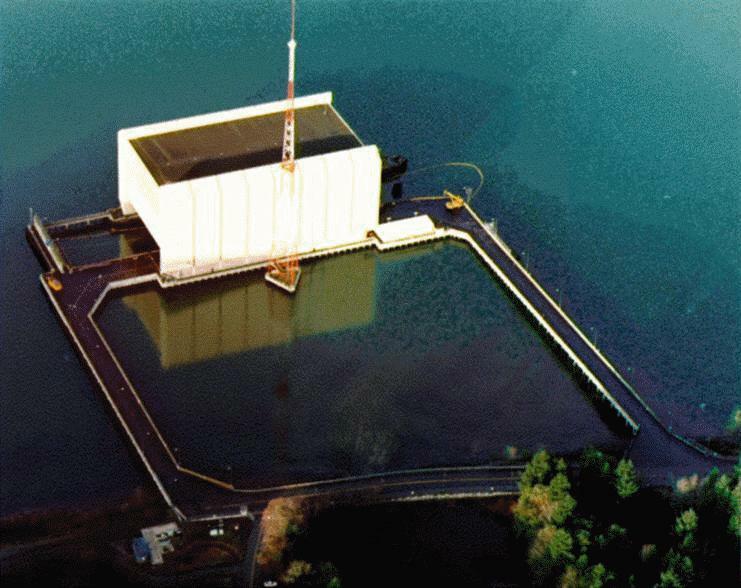 Because of the steep terrain on both sides of Hood Canal, heavy rain causes heavy runoff. The increased runoff adds to tidal flow during the ebb, increasing the current speed to two kt. 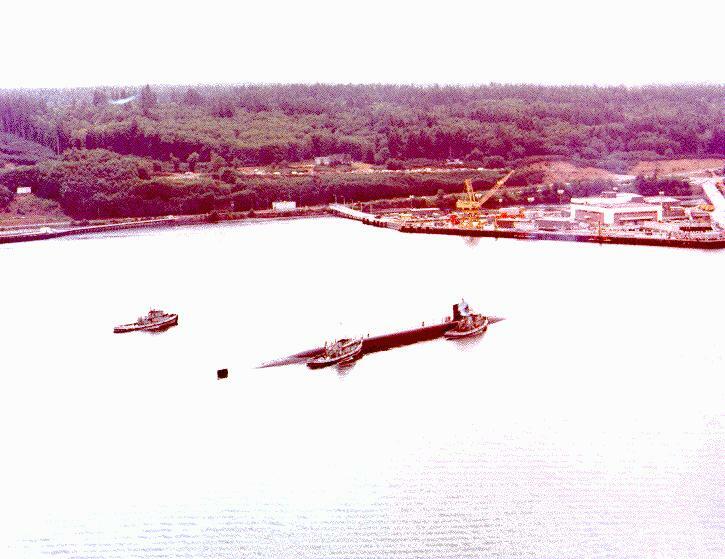 Local authorities state that submarines leaving the south berth at Delta Pier during a strong ebb flow have difficulty moving into the current and away from the pier. Southwest setting flood currents are normally in the 0.6 to one kt range. 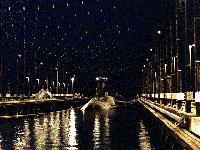 Navy plans called for the POLARIS FBM submarines to be operating in the Pacific. With this in mind, the DoD announced, on 23 April 1962, the selection of various POLARIS support facilities in the Pacific. 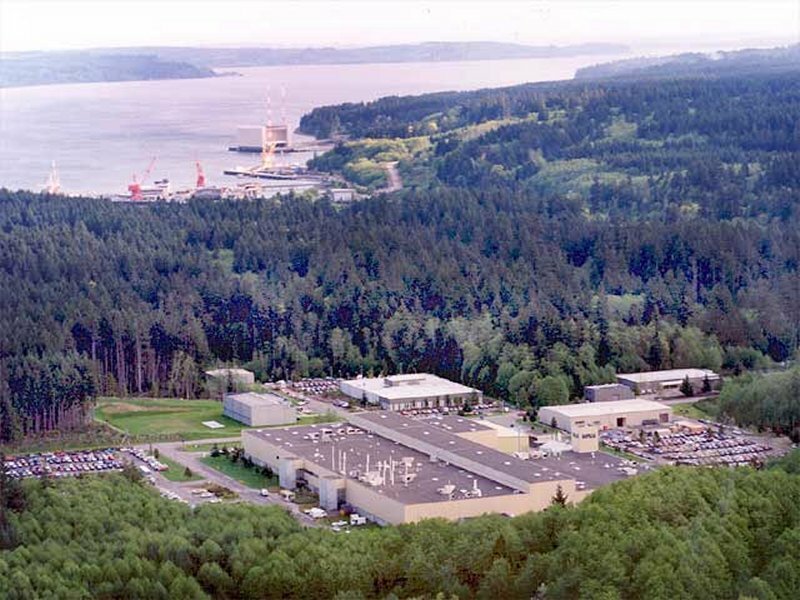 Puget Sound Naval Shipyard at Bremerton, Washington, was selected as the FBM submarine overhaul facility; the Naval Ammunition Depot at Bangor, Washington, was selected for the POLARIS missile assembly facility; Pearl Harbor, Hawaii, was chosen as the location of the crew training facility. 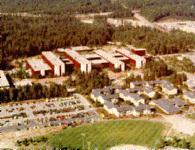 Construction of the $12.5 million facility at Bangor began in March 1963. 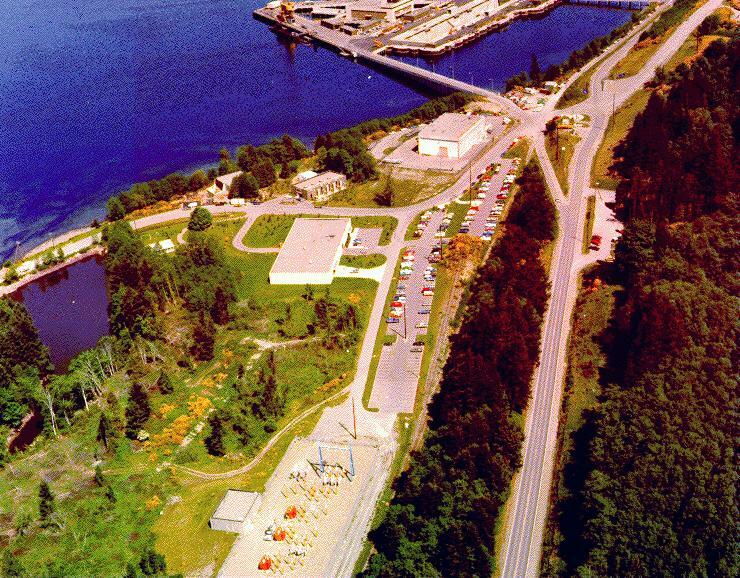 On 1 September 1963, the missile assembly facility was established in a development status and on 11 September 1964, POLARIS Missile Facility, Pacific (POMFPAC) was commissioned at the Naval Ammunition Depot, Bangor, Washington. 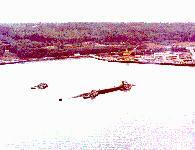 Bangor is located on the Kitsap Peninsula on the shores of Hood Canal. 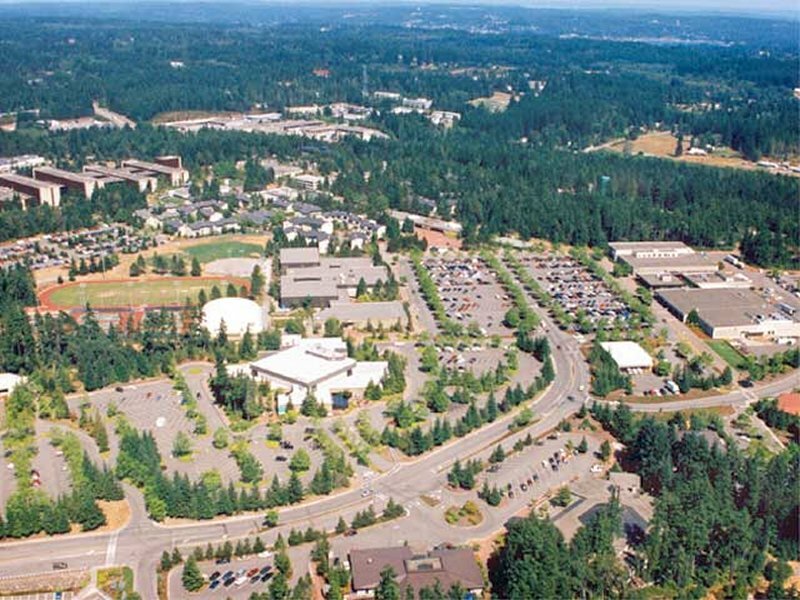 The base included 7,676 acres of land, 5,000 of which are wooded. 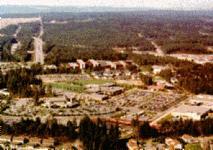 Bangor is the natural home for a deer herd, several bears, and numerous other wildlife. 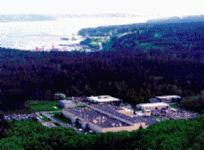 The Olympic Mountains provide a scenic backdrop for the base. 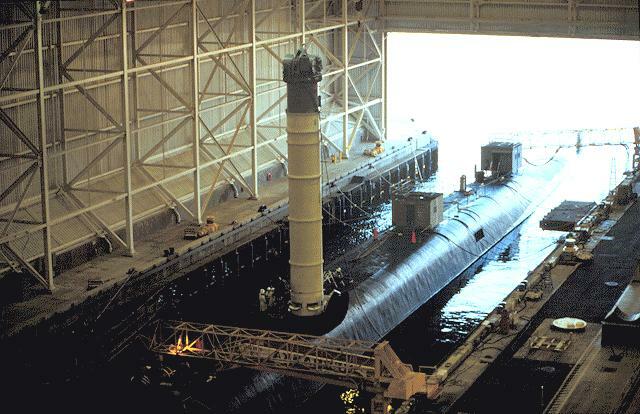 POMFPAC made its first tactical outload of POLARIS A3 missiles to the USS Stonewall Jackson (SSBN-634) on 26 March 1965, and the submarine departed on 9 April 1965 to commence operational patrol. POMFPAC began converting tactical POLARIS (A3's) to the ANTELOPE (A3T) configuration in August 1970 and completed the ANTELOPE Exchanges Program in the Pacific in February 1972. The IDA 1967 STRAT-X Report, besides suggesting a new ULMS submarine and missile, also suggested concepts for a ULMS Refit Complex. In order to assess the concept feasibility, the Director of the SSPO of the Office of the CNM initiated, directed, and coordinated the ULMS Refit Complex Study. 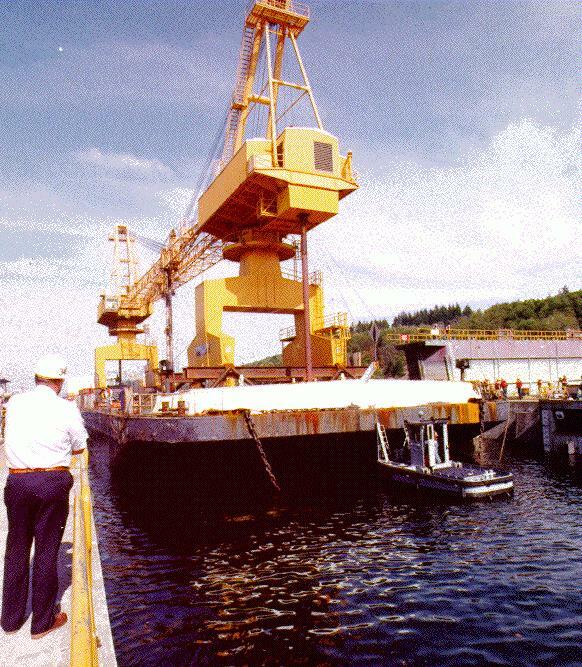 The purpose of the study, started in November 1970, was to determine feasibility, magnitude of the complex, land, personnel, and dollar resources required as well as to evaluate and recommend Atlantic and Pacific sites. 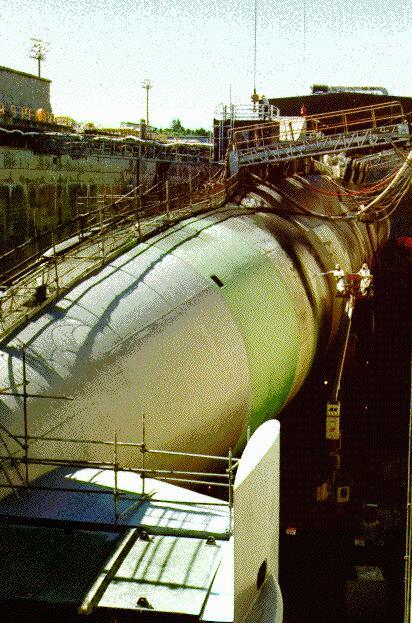 The primary goal of the ULMS Refit Complex was to improve the utilization (patrol availability) rate of the SSBNs. The utilization rate depended on the refit complex capabilities and a compatible SSBN design. 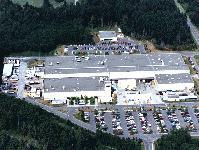 The location of the refit facility plus missile range capability determines the percentage of "ready" missiles in a prompt response mode. The new ULMS extended-range missiles would provide this capability from the time the SSBN left CONUS ports. 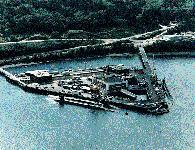 The complex would have three major operational areas: an SSBN refit area, a weapons area, and a training and personnel support area. 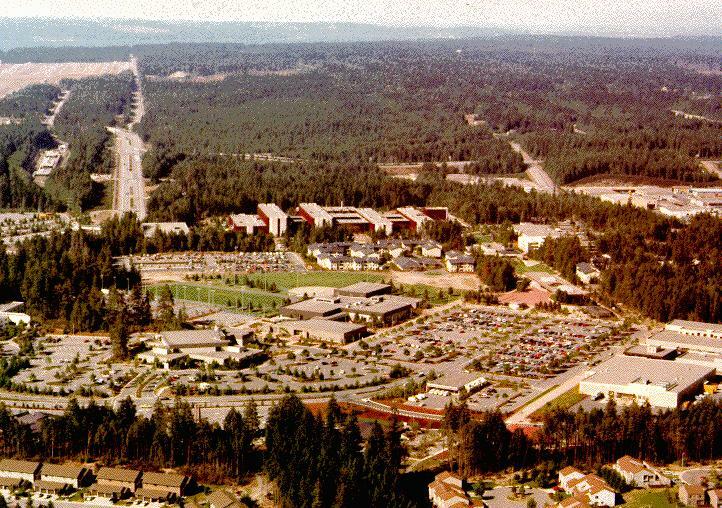 Initial 87 sites located on U.S. territory (Atlantic and Pacific) were identified as candidate locations for the refit complex. This number was eventually reduced to five: Yorktown, Virginia; Charleston, South Carolina; Bangor, Washington; King's Bay, Georgia; and Cape Kennedy, Florida. 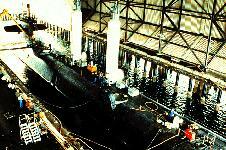 Navy plans called for initial deployment of the new TRIDENT submarine to be in the Pacific. 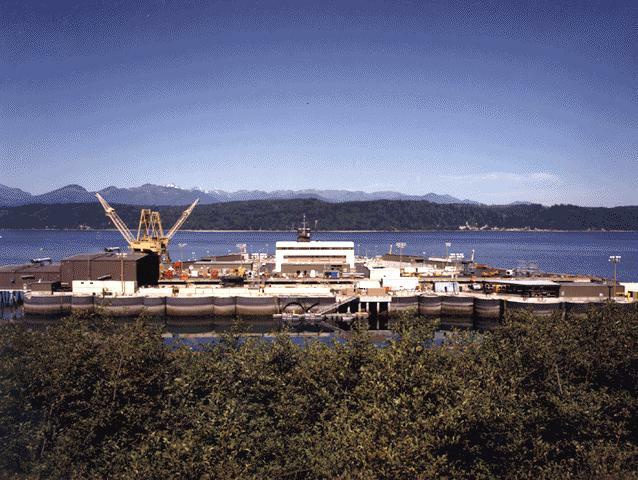 Bangor, Washington, was announced on 16 February 1973, with the selection of Bangor as the initial base for the new TRIDENT SSBN. 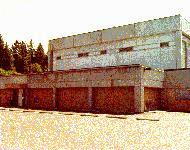 The officer in charge of construction (Bangor) was established on 4 September 1973, and the Final Environmental Impact Statement (FEIS) for Bangor was approved on 26 December 1973. Besides the strategic missile processing facility, the Bangor shore activity would include a submarine base (SUBASE), a TRIDENT Refit Facility (TRIREFAC), and a TRIDENT Training Facility (TRITRAFAC). 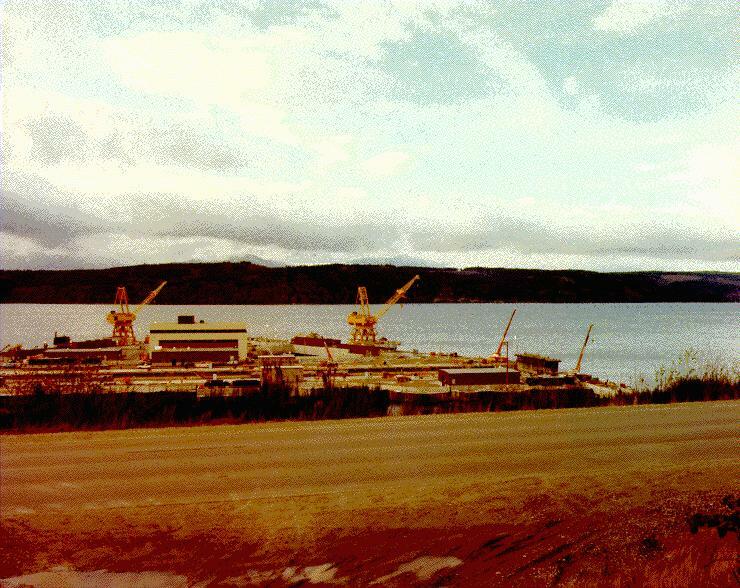 Construction started at Bangor on 15 October 1974, and it was in 1974 that the designation of POMFPAC was changed to Strategic Weapons Facility, Pacific (SWFPAC). 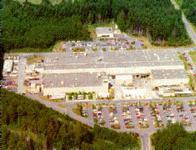 It was also on 19 August 1974 that LMSC was awarded the TRIDENT I (C4) and OSDP Contract. On 17 January 1977, the decision was made for production go-ahead on the TRIDENT I (C4). 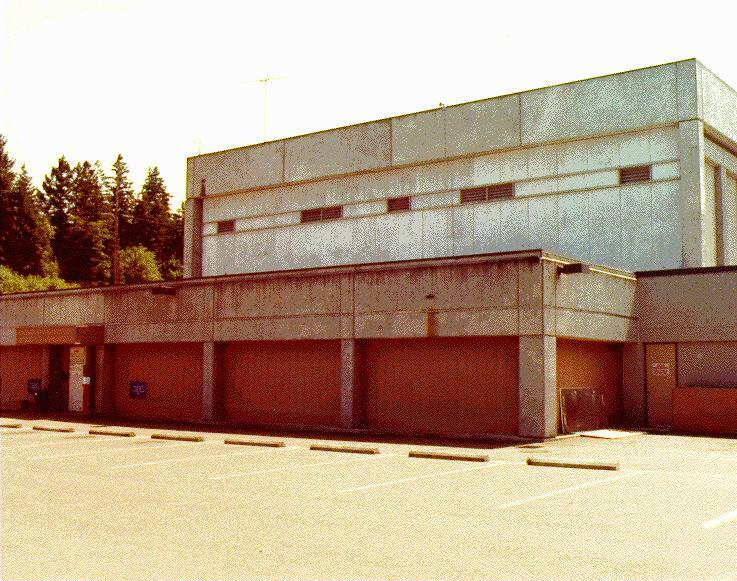 Because of an increasing workload, SWFPAC moved into an "Increased Contractor Participation" mode in 1977. 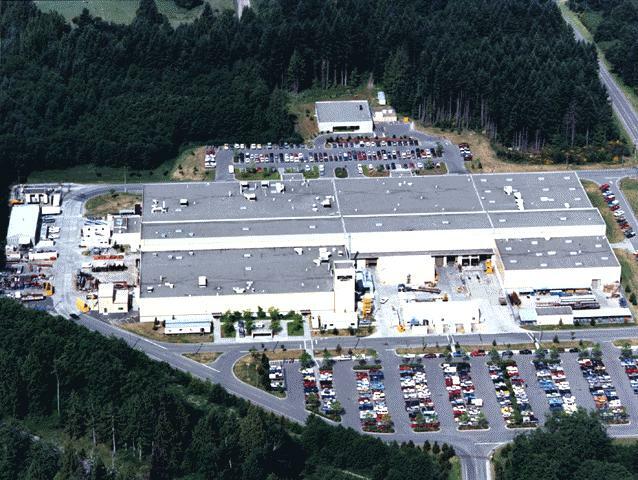 LMSC was awarded a contract for A3 processing support in the calibration operations and various maintenance support buildings. 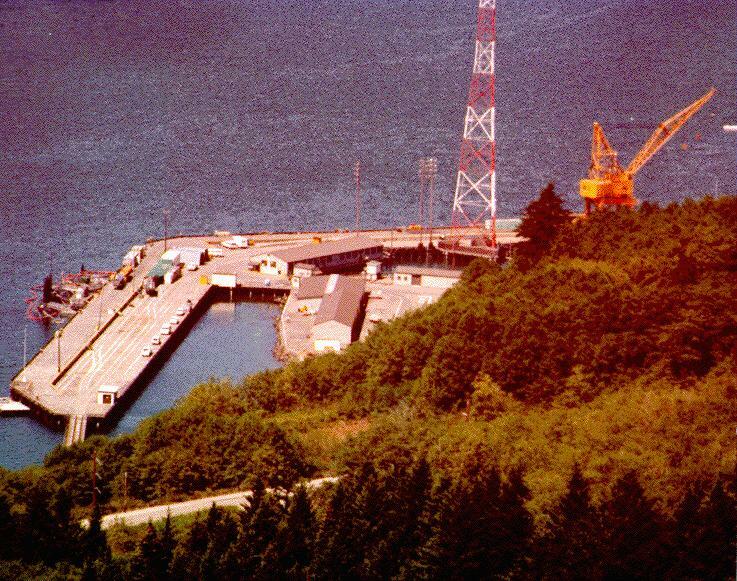 The Naval SUBASE was activated in a developmental-limited operational status on 1 February 1977. 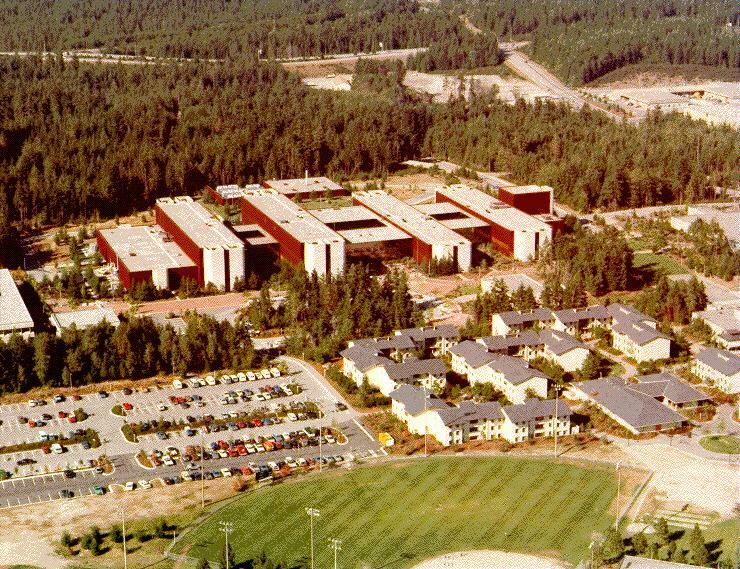 However, full formal activation of the SUBASE, along with activation of the TRITRAFAC and the TRIREFAC, was delayed until 1 July 1981. 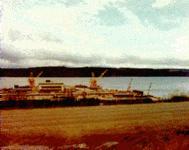 SWFPAC commenced processing of TRIDENT I (C4) missiles in July 1980. Its first C4 DASO missile was airlifted from SWFPAC to the Eastern Space and Missile Center (Eastern Test Range) in December 1981 for eventual outload on the USS Ohio (SSBN-726). 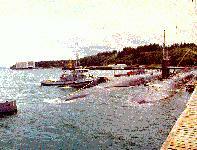 SWFPAC outloaded the USS Ohio in September 1982 with TRIDENT I (C4) missiles, and it deployed on patrol in the Pacific on 1 October 1982. It was during this time frame, 1980 - 81, that POLARIS A3 missiles were being phased out of the Pacific. The last A3 tactical offload from the USS Robert E. Lee (SSBN-601) was completed by SWFPAC in February 1982. 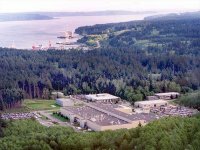 Since the first TRIDENT I (C4) deployment, seven additional Ohio-class TRIDENT submarines have been outloaded at SWFPAC and deployed in the Pacific. 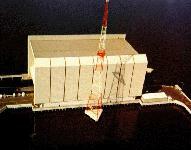 The final outload was in September 1987. Trident Refit Facility, Bangor WA, has worked closely with the Repair Department to develop a new wet abrasive blast technique for lead base paint removal to meet air emission requirements. The equipment vendor developed a new technology to mix media and water in a pressurized vessel; a second vendor developed an abrasive additive which reacts with the lead paint chips to create a nonhazardous waste product. Local air regulators have identified this as the "best available control technology", which will permit TRF to perform hull paint removal. Reults are: blasting of lower hulls are completed in a record 14 days; savings of $500,000 per hull; savings of 1250 man-days of labor; and 90% reduced waste disposal costs for additional savings of $50,000 per boat. 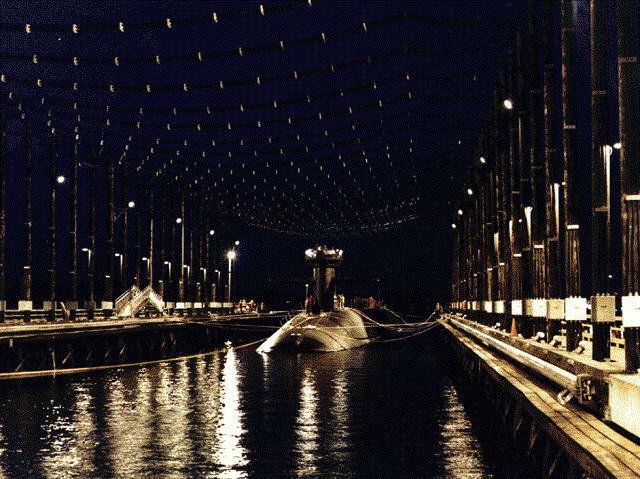 USS Michigan (SSN727) photo by Neil Schweitzer, Oct 1994. 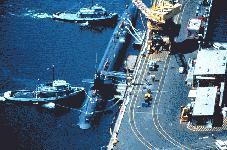 In the 2005 BRAC Recommendations, DoD recommended to close Naval Support Activity New Orleans, LA. 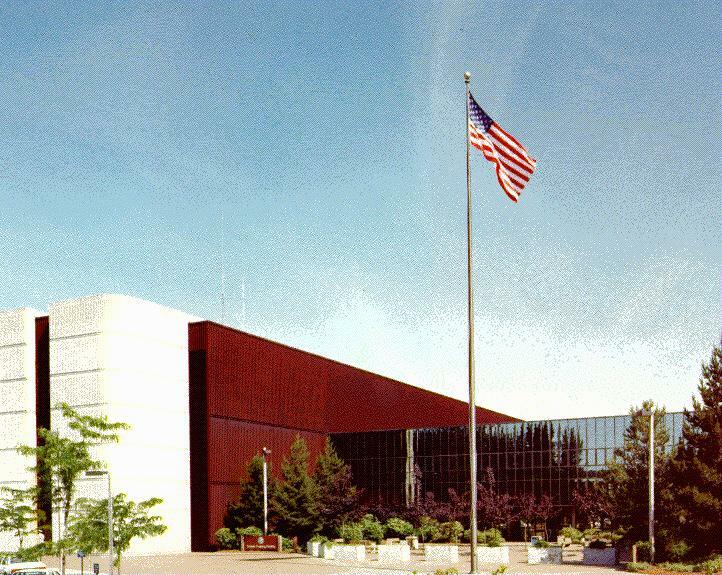 As a result, it recommended to relocate the Navy Reserve Command to Naval Support Activity Norfolk, VA, except for the installation management function, which would consolidate with Navy Region Southwest at Naval Station San Diego, CA, Navy Region Northwest at Submarine Base Bangor, WA, and Navy Region Midwest at Naval Station Great Lakes, IL. 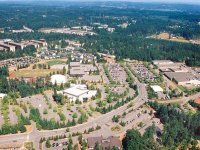 The consolidation of the Navy Reserve Command installation management functions with other Navy Regional organizations would be part of the Department of the Navy efforts to streamline regional management structure and to institute consistent business practices. 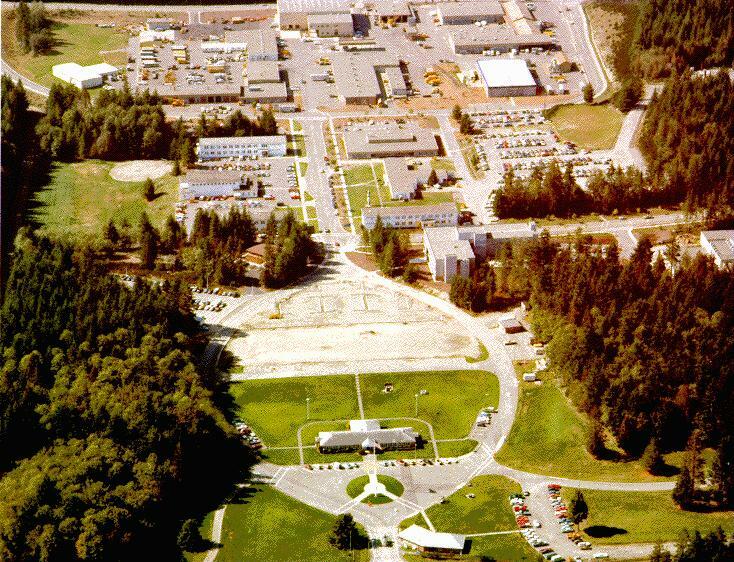 In another recommendation, DoD would realign Submarine Base Bangor, WA, by relocating all mobilization processing functions to Ft Lewis, WA, designating it as Joint Pre-Deployment/Mobilization Site Lewis/McChord. 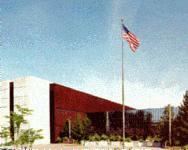 This recommendation was part of a larger recommendation to consolidate mobilization funcitons at several other sites. This recommendation would realign eight lower threshold mobilization sites to four existing large capacity sites and transforms them into Joint Pre-Deployment/ Mobilization Platforms. This action would be expected to have the long-term effect of creating pre- deployment/mobilization centers of excellence, leverage economies of scale, reduce costs, and improve service to mobilized service members. 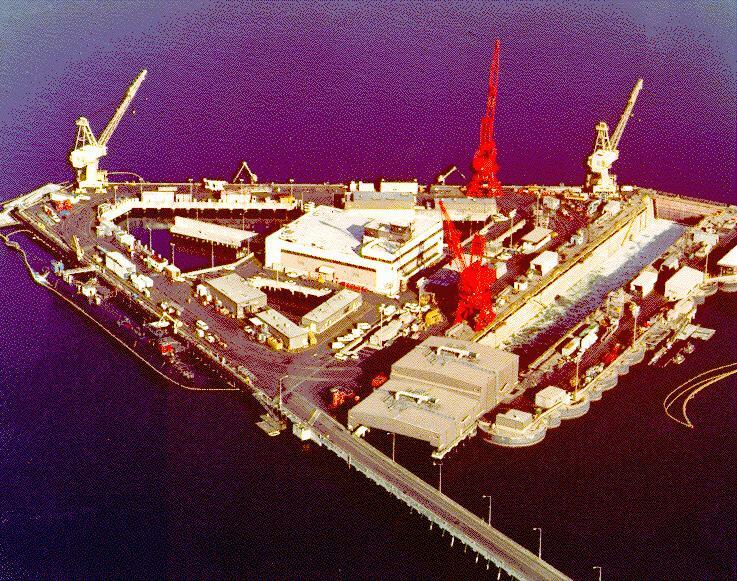 These joint platforms would not effect any of the services units that a have specific unit personnel/equipment requirements necessitating their mobilization from a specified installation. The realigned, lower thresholds mobilization sites had significantly less capacity and many less mobilizations.